Content Strategy: Who Needs it? Content Strategy is a little bit like text messaging: when you first hear about it, you can’t imagine why anyone would need or want it. Then, once you have it (and if you have teenagers you really know what I’m talking about), you wonder how you ever got by without it. Every business needs Content Strategy. It’s no longer good enough to put up a simple website with an About page and some product pages to be able to say you are online and serving your customers on all platforms: if you want your business to be relevant, maybe even indispensible, you need to create content that will accomplish two very important goals. 1) Add value and generate trust with your customers. Position your company as expert in serving your customer’s needs. Encourage word of mouth referrals and even better, social sharing of the content you create to make your customers’ lives better. 2) Get found by Google. Most people (97%) initiate all online sessions by searching in Google (or Bing, or yahoo, or another search engine) for what they are looking for-even if they know the url! Think about companies like Coca Cola, or Red Bull. These are the superbrands who consider themselves as much media companies as they do beverage makers. In fact, Red Bull calls themselves a media company that also makes energy drinks. They make their money by selling energy drinks, but they get their customers through the content they create. The content that Coke, and Red Bull, and your company creates: the content itself is not content strategy. It is Content Marketing. But content strategy is the roadmap, the blueprint that guides you and helps you know what content you could and should be producing, and how that content should look, feel, and sound so that it speaks in a voice that will communicate the unique promise of your brand. How do I develop a content strategy? It’s also a good idea to do an environmental scan of the competitive landscape in which you’re doing business: this means looking at your business competitors but also your “information” competitors. Who is creating content that is capturing the attention and trust of your customers? This audit and analysis is a great time to compile keywords that will be handy later when its time to build an SEO plan: SEO stands for Search Engine Optimisation and it is how you help Search Engines to find you, a very important part of any content strategy. Understanding your audience, their needs and desires, and where they are “hanging out” in social media is important too. This information allows you to create a social media plan that will ensure you reach your customers on the social platforms they are using, and create the content they are most likely to share. If you’ve never really clarified your brand, this is a critical step in developing a content strategy. Once you have a clear idea of what your brand is all about, you can develop tools like Voice Charts and Message Maps that will guide the way content is written and created. It will also help you to eliminate types of content that isn’t “on brand” and highlight types of content that clearly express your brand promise. Developing a content strategy doesn’t have to be a long or complicated process. You can do something in a couple of days, a couple of weeks, or a couple of months, but the important thing is to do something. If you sketch out your content strategy before you go ahead and put up a blog, or make a video, you’ll have a better chance of creating content that will be more targeted, that will get found, and that will engage your customers in a relationship of trust with your business. 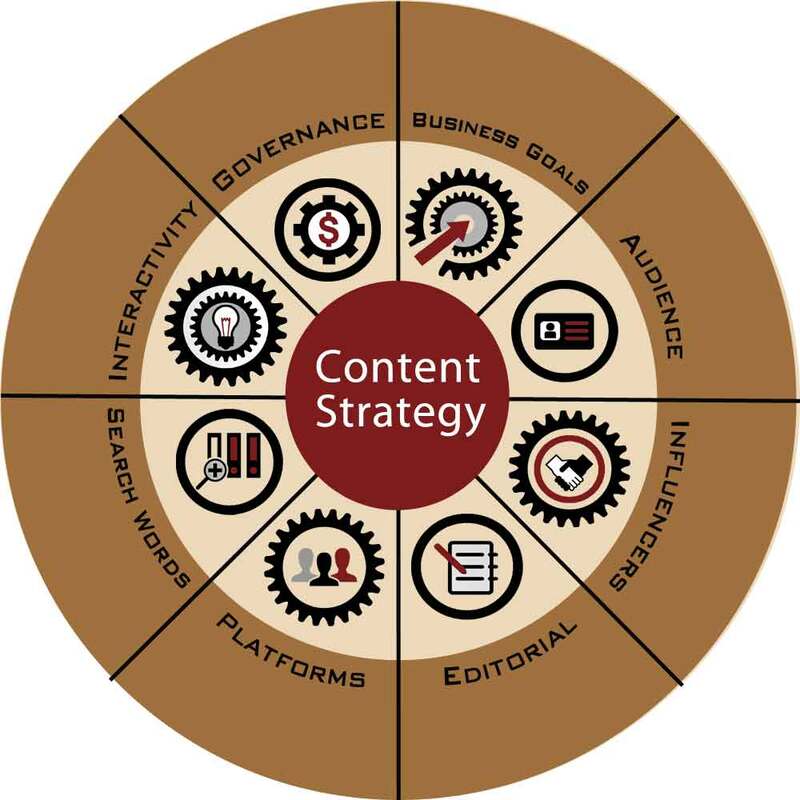 To dig deeper into the Content Strategy process and learn more about what it can do for your business, Download the Analytical Engine Content Strategy Outline.